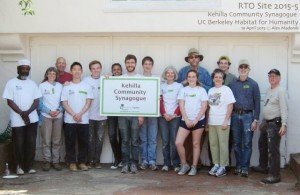 Would you like to join the Kehilla team on a truly practical Tikkun Olam project? Each year, Kehilla partners with Rebuilding Together and other local congregations to carry out repairs on a home in our community. 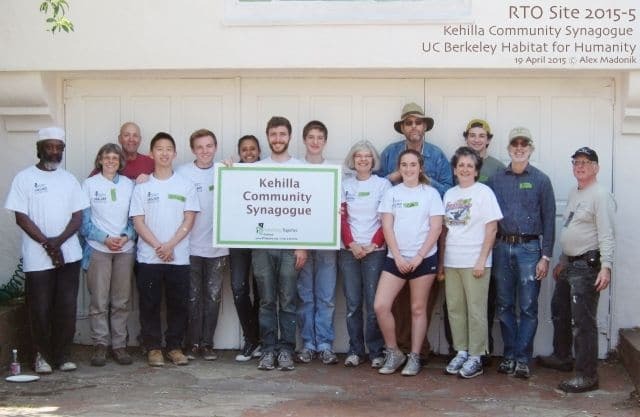 For 2016, Tree Gelb Stuber and Alex Madonik have arranged for Kehilla to work with Rebuilding Together East-Bay North (formerly Berkeley-Albany-Emeryville) and Congregation Netivot Shalom on a project in south Berkeley. We will paint the living room, dining room, and hallway, and carry out other minor repairs, at the home of Brenda, an elderly woman whose home needed a lot of decluttering — that’s already been done by a team of students from UC Berkeley, assisted by the homeowner’s son and daughter. We will do prep work on Sunday, April 10th, and then complete the interior painting on Sunday, April 17th. Another Rebuilding Together team will paint the exterior while we celebrate Passover! Skilled volunteers are especially welcome on April 10th, but anyone can help and we need all hands on the 17th to complete the work. Breakfast and lunch will be provided on each of the work days, as we will be there at 8am, and the work will wrap up around 4pm. Please contact us at alexmadonik@sonic.net or tgelb1@aol.com for more details, or call Alex at (510) 872-0528. Looking forward to hearing from you! Donations are needed! You can donate to the project here, or by sending a check to Kehilla, 1300 Grand Ave., Piedmont, CA 94610 and write “Rebuilding Together” in the memo line. You can help us continue this great tradition of Tikkun Olam right here in our community!